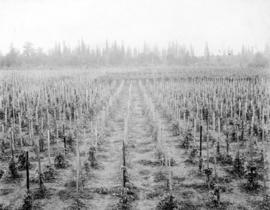 Item is a photograph depicting a hops field in Agassiz owned by E. Clemens Horst. 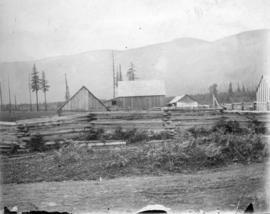 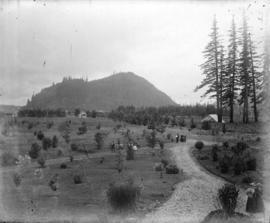 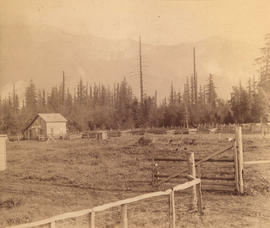 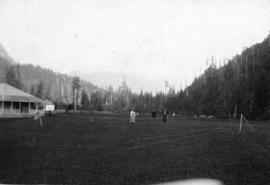 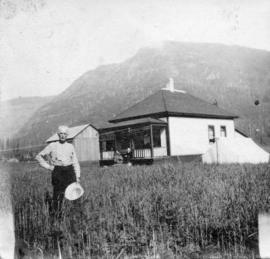 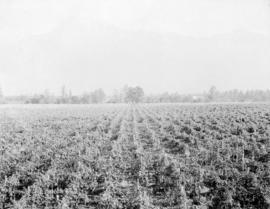 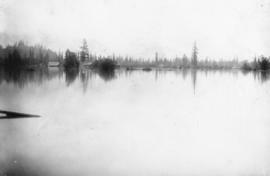 Item is a photograph showing hop fields in Agassiz. 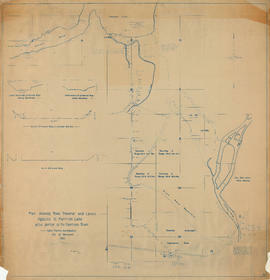 Item is a map sheet which contains a map of the area around the south end of Harrison Lake. 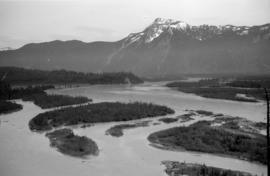 The sheet also includes two cross-sections of the Harrison River and two of the region of the proposed dam site. 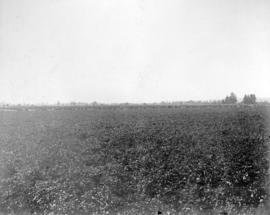 Item is a photograph showing potato fields in flower in Agassiz. 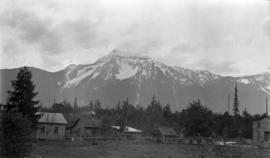 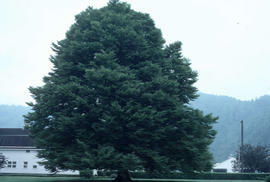 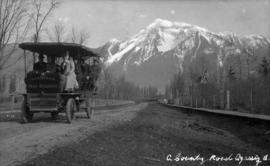 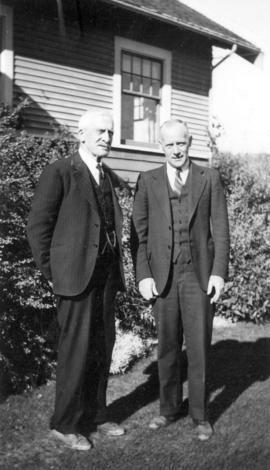 The Agassiz-Harrison Valley, history and development. 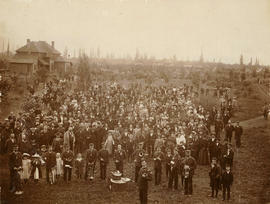 Photograph shows a large group of men, women, and children gathered on a lawn, with band members in front.